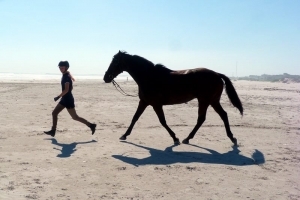 Have you spent your days longingly staring at the TV, clucking the horses on the screen over huge fences, or holding your breath as they execute a perfect canter pirouette? Do you painstaking follow the results of top competitions in every horsey magazine, and research all the advanced movements and how to execute them, so that you can play backseat judge on the sidelines every time you watch a show? 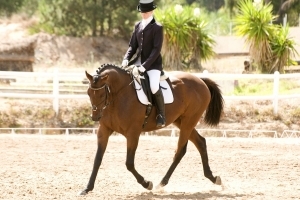 Do you dedicate all this time and effort, only to have your unique and excellently honed skills rendered moot by the lack of just one crucial aspect of equestrian competition: A horse. 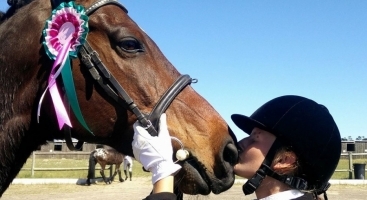 Let’s face it, not all of us have the time, money, or facilities to own a horse, but that doesn’t mean that our passion for the sport will disappear. 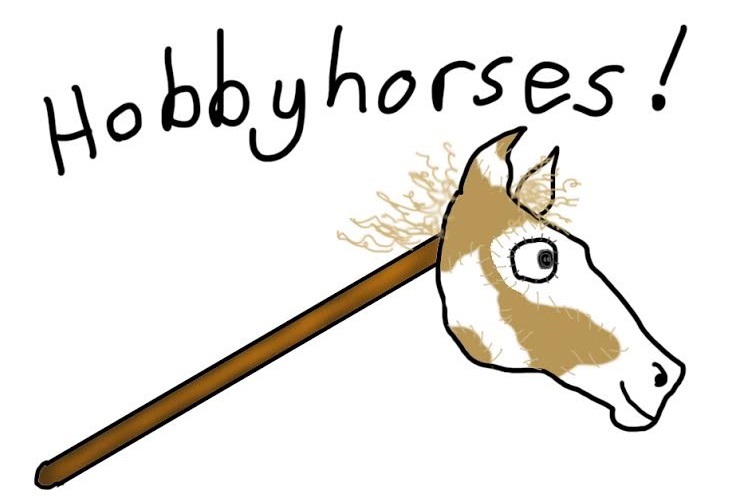 If you are one of these passionate horseless equestrians, then the Finnish Hobbyhorse Association (SKY) has good news for you. 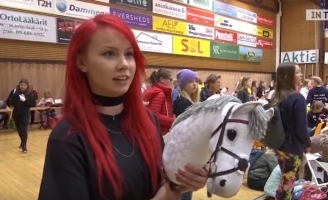 Over the last decade, the sport of hobbyhorse riding has grown to become a global craze among teenage girls, culminating in a plethora of social media attention following the decision of Finnish film-maker and academy award winner, Selma Vilhunen, to produce a documentary about this unique sport. 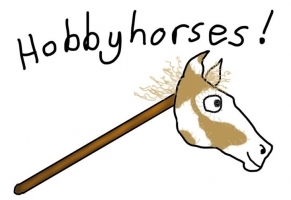 The documentary, ‘Hobbyhorse Revolution’ first aired at the Tampere Film Festival in Finland at the end of March this year, according to Tuffi Films’ website. IMDb described the film as “A funny and moving film about teenagers with growing pains, who discover their own voice and talent through riding and grooming toy horses”, and rated it at an impressive 7.7/10. Not currently living in Finland? No worries! The Nordisk Film & TV Fond’s website announced last month that the documentary will be premiering in North America at HotDocs’s Magnificent Obsession strand on May 3rd. 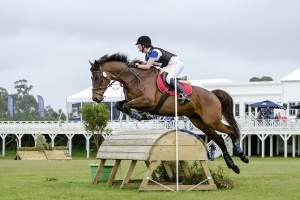 And if that news isn’t quite good enough for you, if you’ve already had enough of this ‘sitting on the sidelines, watching on TV, and feeling left out’ nonsense from official equestrian sports, then ‘SKY’ has some even better news for you! Although the sport is becoming hugely popular in Finland - with over 10 000 competitors, according The Wall Street Journal – it is still struggling to be taken seriously the world over. For this reason, SKY is looking to expand its association through the hard work and dedication of international volunteers. 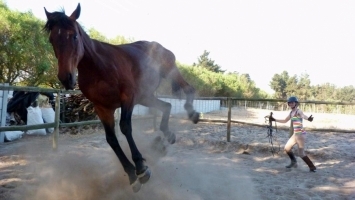 If you think that you could be the one to help bring the unbelievable sport of hobbyhorsing to the rest of the world, you can visit SKY’s website here (http://viuhku.net/sky/sky_english.html) or email them at skyhdistys@gmail.com to offer your services. The equestrian world has always been expensive. Elitist. Cliquey. 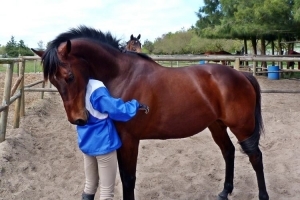 And to a greater and greater extent, with the cost of living (and keeping a horse) constantly increasing, it excludes those young and passionate equestrians who simply do not have the means to follow their passion. 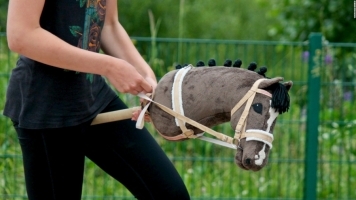 With the sport of hobbyhorse riding growing to become a global phenomenon, these horseless riders can literally take matters into their own hands – or legs! So if you don’t find a pony in your parents’ garage this Easter, don’t let it get you down. Instead, grab your Mom’s old broom and hack off that useless brushy bit at the end (who knows what it’s for anyway, right? ), and craft yourself a nice horse-head to pop onto it. 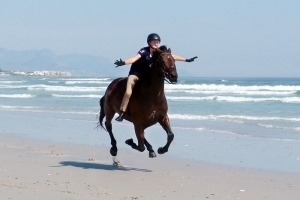 Then all that’s left to do is get out there and start practicing that floaty dressage movement! Who knows, maybe you’ll be hobbyhorsing’s first Valegro? If you’re not quite motivated enough yet, check out this oddly inspirational video of the 2016 hobbyhorse championships in Finland. I guarantee that by the end it’ll have you prancing around your bedroom and jumping over furniture like the greatest competition horse that ever lived.